Arsenal, Chelsea, Manchester City and Manchester United were among the 32 clubs who learned their fate when the Women's FA Cup fourth round draw was made on Monday morning. All 22 Women's Super League and Women's Championship clubs have now entered the fray, joining the 10 lower league winners from the third round ties played over the weekend. Arguably the tie of the round see WSL leaders ​Arsenal tasked with a visit to fourth tier Crawley Wasps, while top flights Bristol City and Reading have also been drawn with fourth tier AFC Wimbledon and Keynsham Town respectively. 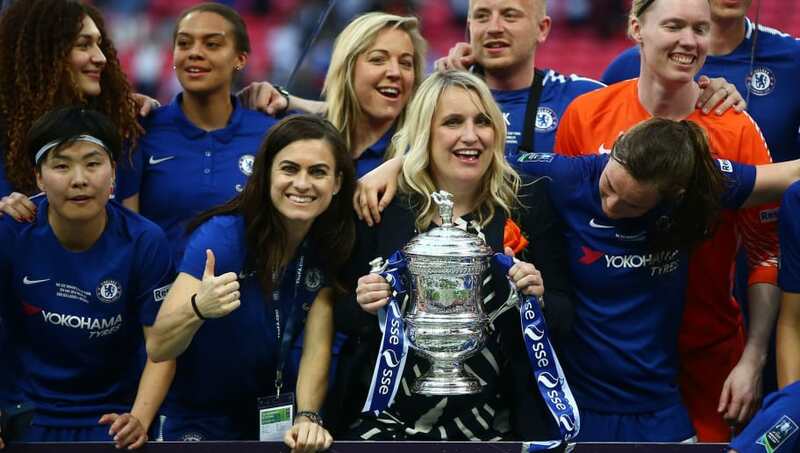 Cup holders ​Chelsea begin their defence with an all-WSL tie against Everton, while the only other all-WSL tie to emerge from the pot will pit Yeovil against Birmingham. Elsewhere, 2017 winners ​Manchester City will host third tier Watford, with reformed ​Manchester United, who currently lead the Women's Championship, set to travel to top flight Brighton. ​Liverpool, meanwhile, will hope for some respite from a dismal run of recent league form - the Reds are win-less in the league since October - when they play host to lower league MK Dons. Fourth round ties will be played on Sunday 3rd February. As has become the norm in recent years, the final will be held at Wembley at Wembley on Saturday 4th May. Tickets are already on sale, priced at £15 for adults and free for children, making it a tremendously affordable day out at a Wembley cup final. To check out the roundup of the latest action from the Women's Super League, click here.